Hydroxyethyl cellulose is a gelling and thickening agent derived from cellulose. It is widely used in cosmetics, cleaning solutions, and other household products. Hydroxyethyl cellulose and methyl cellulose are frequently used with hydrophobic drugs in capsule formulations, to improve the drugs' dissolution in the gastrointestinal fluids. This process is known as hydrophilization.It is one of the main ingredients in the lubricant KY Jelly. It is also a key ingredient in the formation of big bubbles as it possesses the ability to dissolve in water but also provide structural strength to the soap bubble. 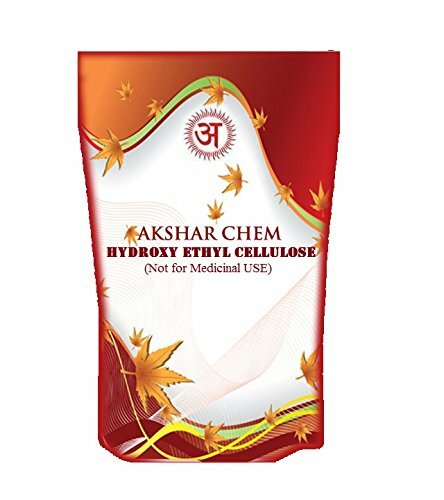 If you have any questions about this product by Akshar Chem, contact us by completing and submitting the form below. If you are looking for a specif part number, please include it with your message.